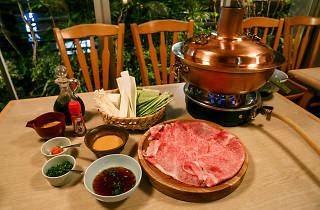 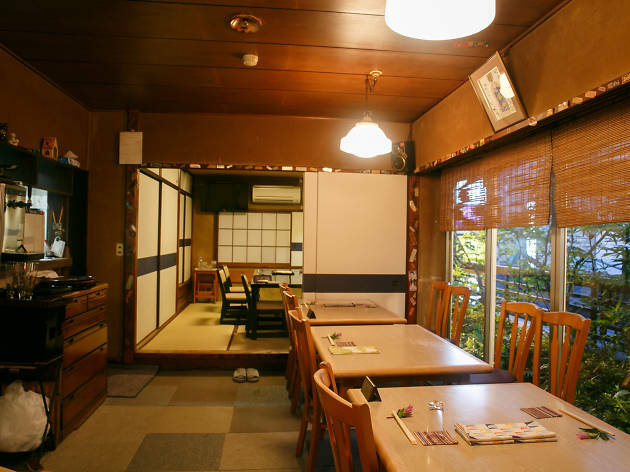 Since most diners at Akasaka's Kobori are regulars, entering this hot pot palace might seem a bit intimidating at first. 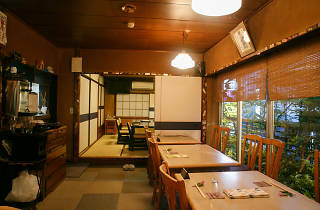 But once inside, you're sure to shake off any apprehension: it's a homely, relaxing space with simple furniture and and a friendly, jovial hostess. 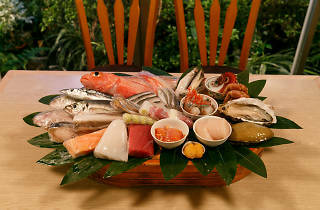 To start things off, she'll bring you a platter of seafood bought the same morning. 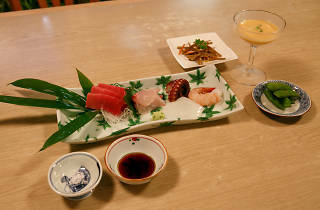 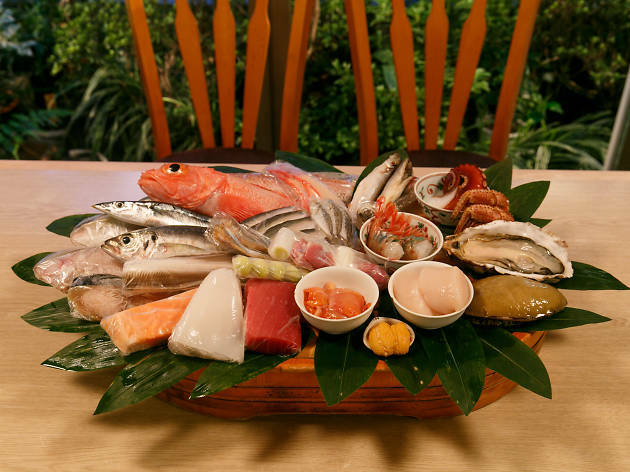 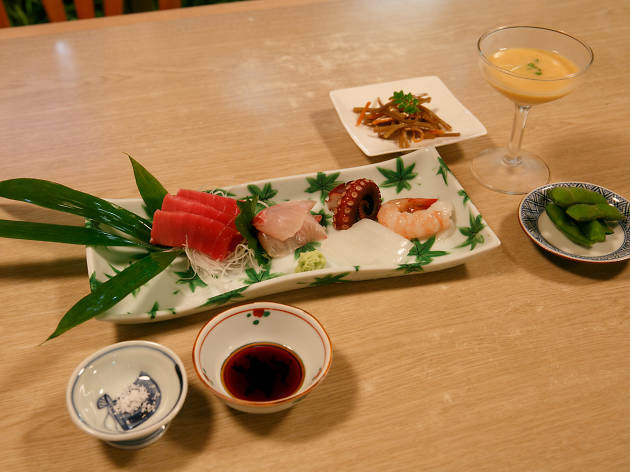 This spread functions as an appetiser menu: pick anything you fancy and ask the chefs to prepare it to your liking, be it in sashimi form, boiled or grilled. 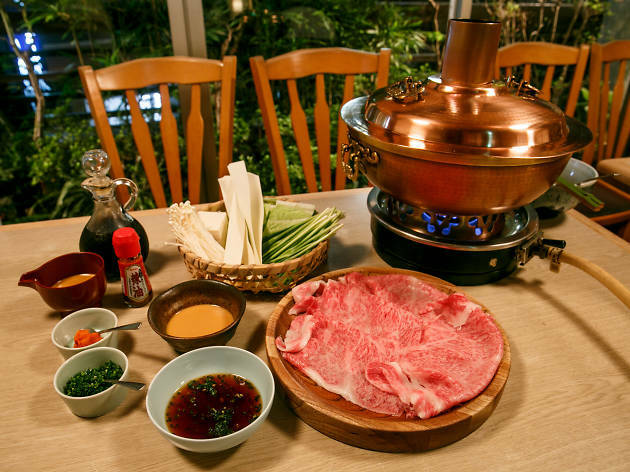 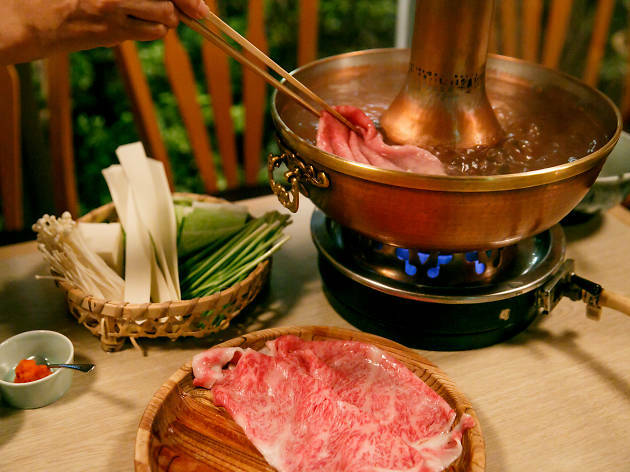 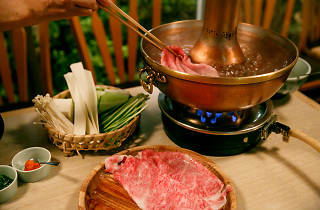 As for the main attraction – wagyu shabu-shabu and sukiyaki – you can look forward to luxuriously thick cuts and 'secret' ponzu and sesame sauces to dip your meat in.